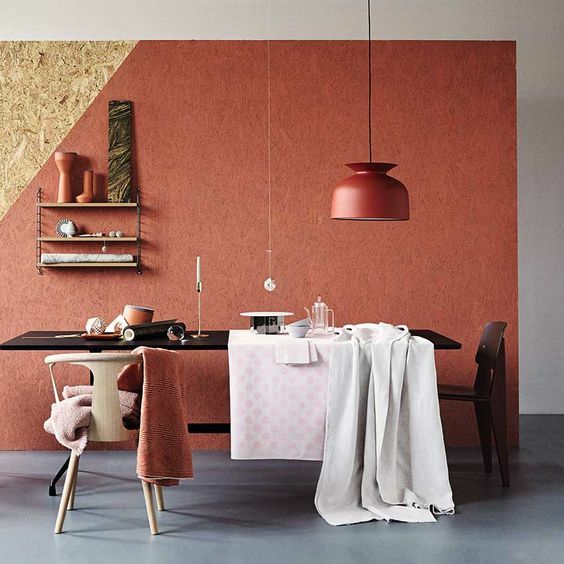 Terracotta vibe has always been warm and earthy. 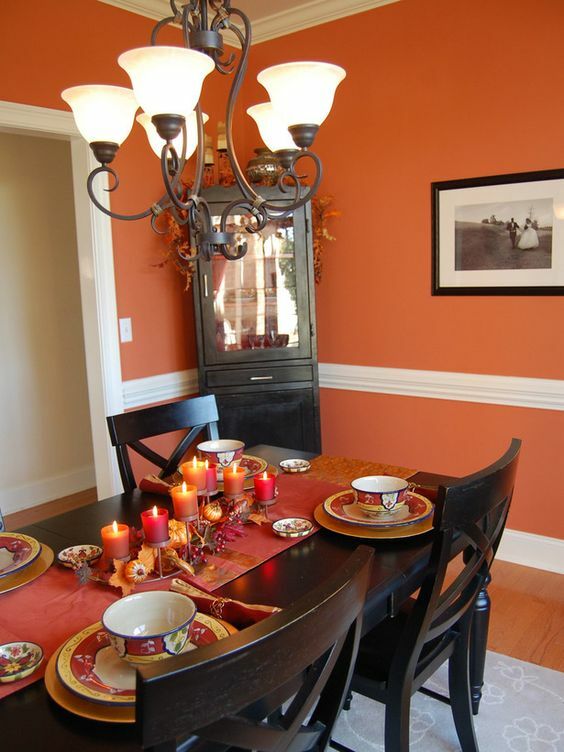 It is a great color to engulf the dining room look sometimes. It’s like wrapping the room in this warm and comfortable cocoon. 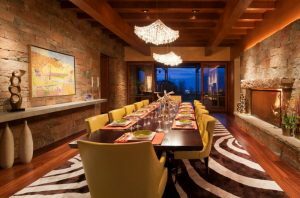 With the right items, the warmth in the dining room will be maintained well. The traditional, old, familiar feeling will come to you and your family. And here below are some warm. Well, terracotta look is closely similar with Thanksgiving look. 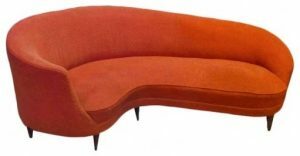 So, if you love the warmth in thanksgiving and like to make it stay longer, orange wall is one of the key. The wooden material on the furniture plays a great role too, as well as the traditional marble chandelier. 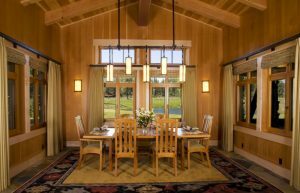 This one here has a quite strong vibe of warm dining room with wooden floor, wooden dining set, white cover chandelier, and the warm orange wall. The wainscoting on the wall also brings the traditional look. However, to make it has a little bit of modern look, a white covered chandelier hung on the room. 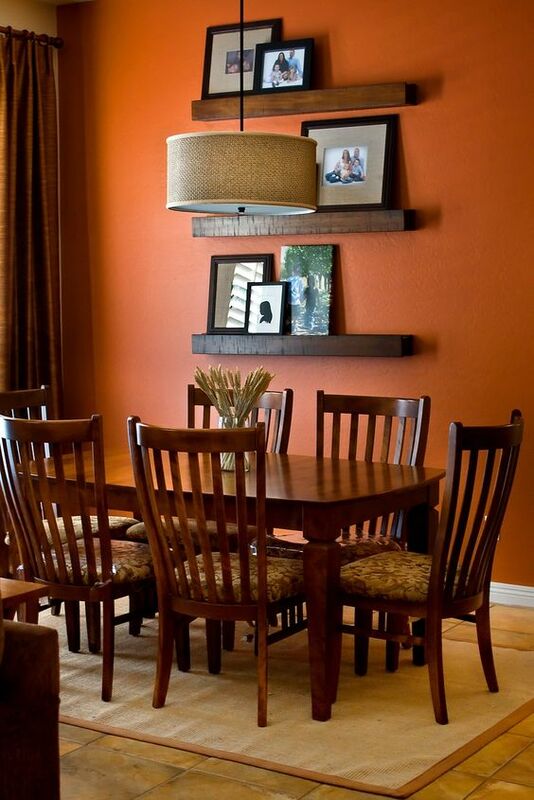 The warmth in terracotta does not always have to be in the traditional and warm dining room. 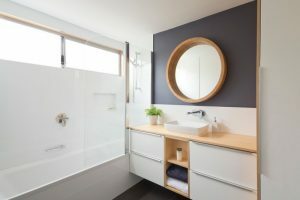 It can be added in the minimalist modern inspired room, like this one here. The light wooden dining table set and the cabinet have sleek and clean lines that bring out modern look. 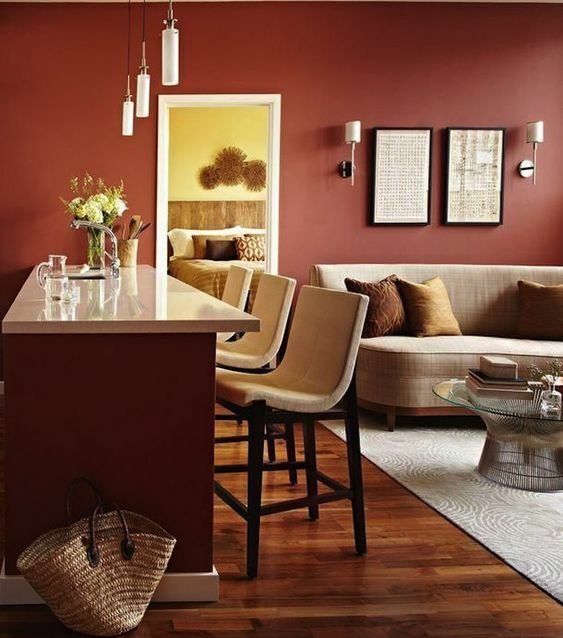 And the terracotta accent wall does not give too much warmth that it still in line with the stark look. Adding terracotta in the light and natural look can be interesting. In this picture below, the warm terracotta accent wall balances the light and ashen look of the natural material in the room. The pink table clothe and pillow put a sweet note for the room. 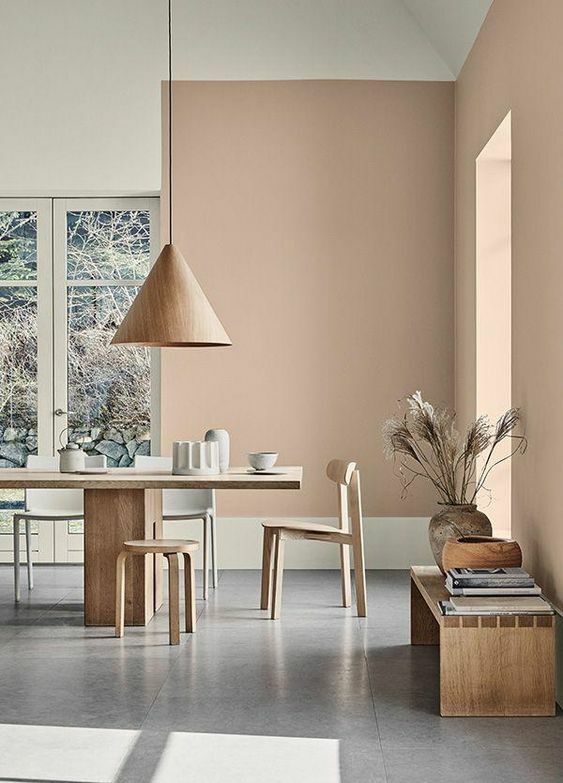 In an open room, instead of painting in all in white just like what’s commonly done, paint the room in muted terracotta can also bring the modern feeling. Plus, it also brings out the interesting hue too. It goes well with warm material like wood and cloth. 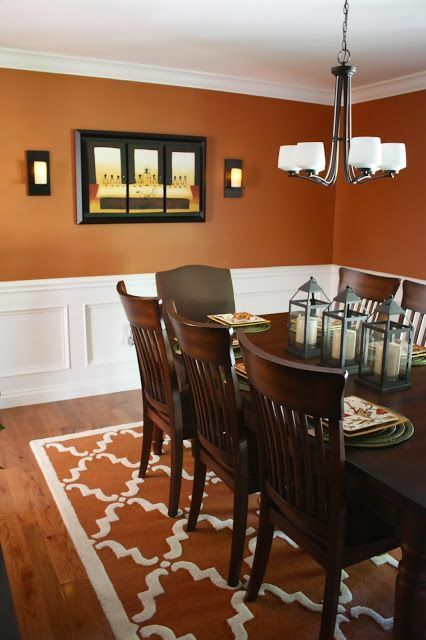 Similar to one of the aforementioned, this one here uses dark orange to give the warmest look on the dining room. 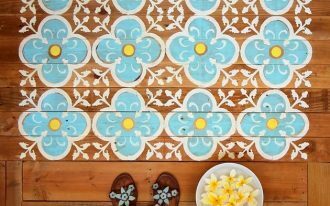 The old looking tiles on the floor is a great balance that helps the room looks even warmer. 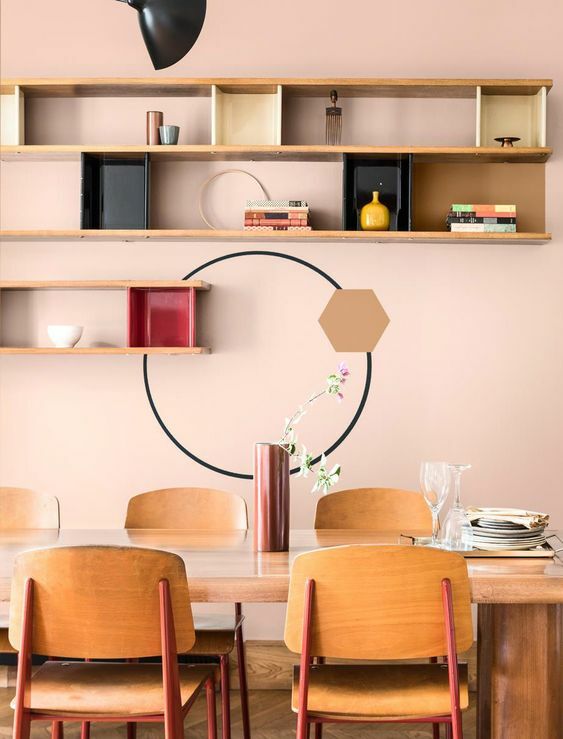 As one color can have so many level, this one here shows how terracotta and pink are mixed and used together beautifully. 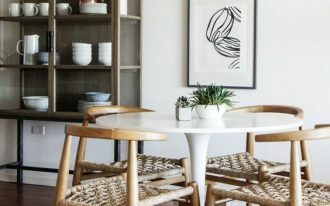 The natural and minimalist look of the wooden floor and dining set blend well. The texture combination on all items, including the lamp, feels completed. 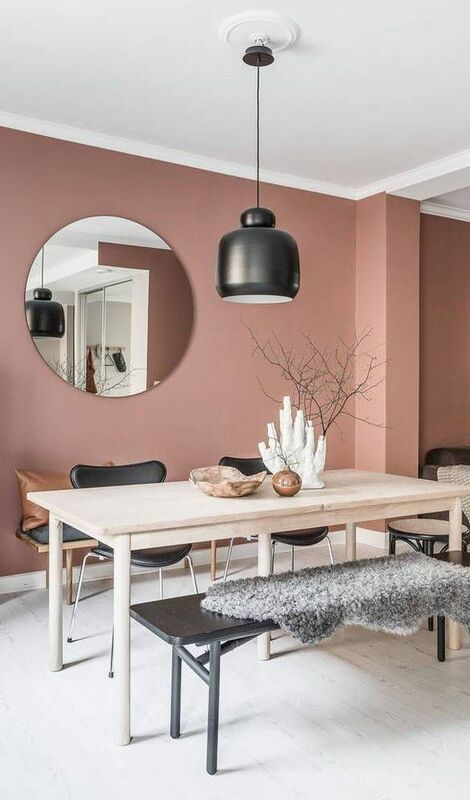 Similar to the previous one, this one also depicts a stunning mix of pink and terracotta. 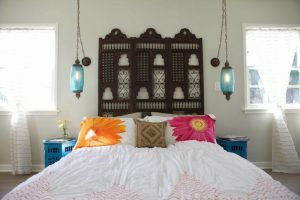 ANd not only that, in this modern vibe room, the copper pendant looks blending as well as pronounced. 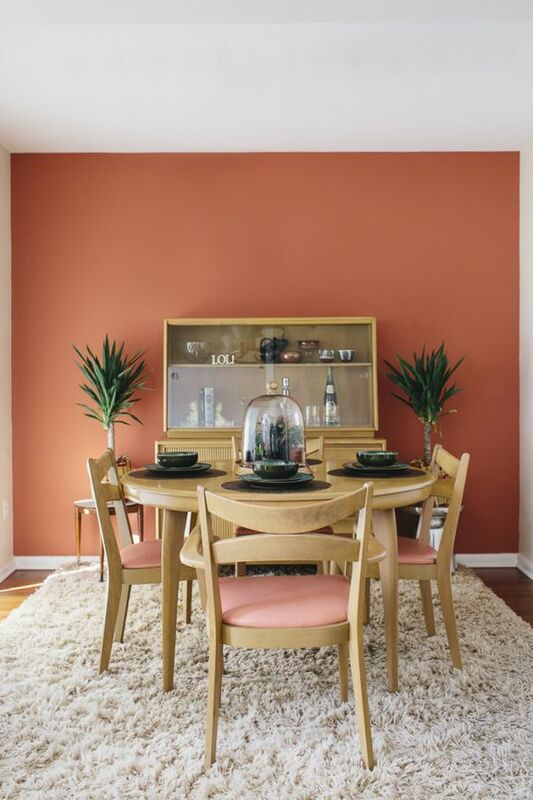 Going more modern, this one here shows how soft beige terracotta can bring the earthy vibe to the room, combined with dining set, pendant, and bench. An interesting look is shown in the picture below, the combination of many elements, colors, and shapes make the room looks pretty while still manages the warmth note in it.